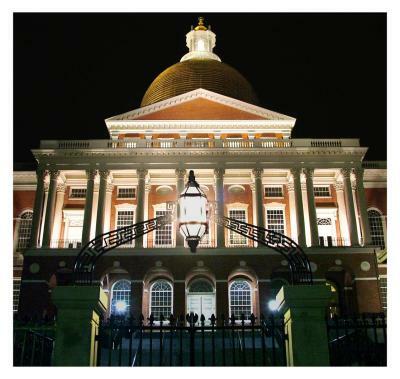 The Massachusetts State House is a gorgeous brick and white marble building with a brilliant 23 karat gilded dome. The dome was originally gilded by Paul Revere, back in the late 1700s. This is a handheld capture as I walked from where I live in Beacon Hill down to the bookstore last night. All images copyright Della M. Huff. All rights reserved. Any usage without specific written permission is prohibited.